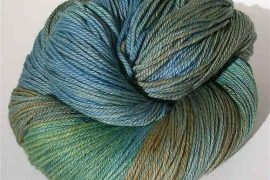 Wool is one of the most popular fibers for the yarn that knitters and crocheters use in your work. It is great for many reasons, but it is not without its controversy. This article explores wool from many different angles. We’ll look at types of wool and wool yarns, different phrases used in reference to wool, pros and cons of crocheting with wool, wool events and more. 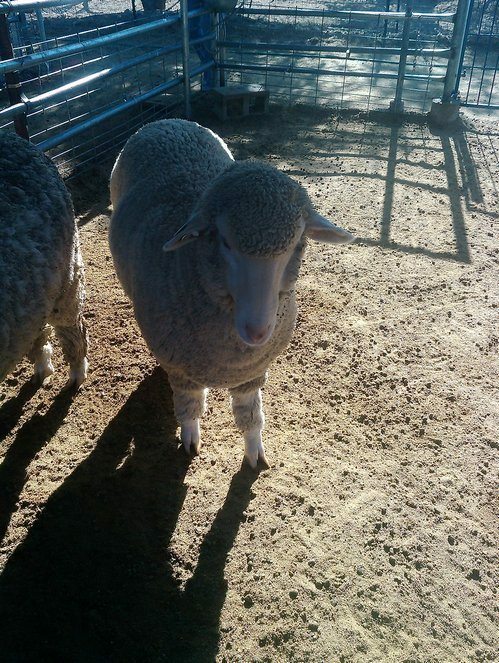 Wool is actually a more confusing term that you might think. In the United States it is generally accepted that when you talk about wool, you are talking about the fiber made from the fur of sheep. However, wool around the world sometimes includes the fur fiber of other animals including cashmere from goats, angora from rabbits, and qiviut from the muskox. Even when you limit the term wool just to sheep’s wool, there are still many, many types of wool to choose from. Each different type of sheep produces different wool. 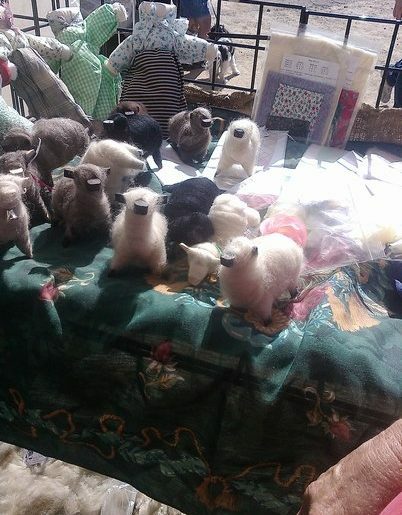 Just listen in on yarn spinners chatting for a short period and you’ll hear about Merino Wool, Blue Faced Leicester, Finn, Jacob, Cormo, Flakland, Shetland, Corriedale, Romney, Polwarth, Icelandic Leadersheep, Gotland, Wensleydale, Friessian, Cheviot, Clun Forest, and Coopworth sheep wool. Wow! Each of the wool’s has different thickness or coarseness, which relates (at least in part) to the crimp of the fiber. The crimp refers to the fineness of the wool so a wool like merino, which is very fine, may have 100 crimps per inch and a really coarse wool may have only 5 crimps per inch. The fibers also vary in length and this affects the feel of the yarn, too. You aren’t likely to need to know this as a crocheter, but it’s helpful to know as a spinner! Things get even more detailed when you talk about wool yarns, because these yarns may be any of those sheep wool fibers but they can also be blends. 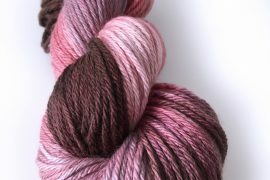 The blend can be a mixture of different wools or the blend can be any of those wools mixed with another fiber such as silk. Each wool yarn is going to have a different feel, a different drape and possibly a different purpose in your crochet work. You can get wool yarn from many different places, including chain stores. However, if you want to support the work of great fiber farms then you should consider sourcing your wool locally. One great way to do this to join a Fiber Farm CSA. One crochet artist who ethically makes sure to source her yarn locally is Shauna Richardson, best known for her Lionheart project at the London Olympics. For the most part we’re talking about sheep’s wool in this article since that’s what’s really considered “wool” in the US. However, I wanted to make a point of mentioning that cashmere wool is one type of wool that’s become really controversial in recent years. Learn more from the article Ethics and Issues of Cashmere Wool. As you’ve shopped for wool yarn, you may have noticed that some wool is labeled “organic”. What does this mean? I learned from the really great AwareKnits book (by Vickie Howell and Adrienne Armonstrong) that organic wool refers to wool from free-range sheep that are raised humanely. They are also fed organic food, raised on pesticide-free land and the wool is not chemically processed. You may also occasionally hear the term virgin wool. This is wool that has been spun for the first time into yarn. Sometimes wool is spun, torn, re-spun, etc. and then it’s called shoddy yarn. Wool fashion was hot on the runways last winter, at which time fashion icon Vivienne Westwood was quoted as saying: “Wool is one of the world’s great natural fibres, famous for its versatility and comfort – warm in winter, cool in summer.” The fabric’s breathability, and therefore adaptibility to all seasons, is one of the main reasons that people like wool. Even when wool gets wet, it is still warm. Wool is a natural fiber. Many people prefer to work with natural materials instead of synthetic yarns. Wool is fire-retardant. It’s a safe fiber to use because it’s not flammable. Wool can be affordable. There are many different types of wool, from basic to luxury, so there’s something for every crocheter’s budget. You can even reclaim wool from old sweaters if you need to. It felts. People who enjoy felting their crochet work enjoy this natural feature of wool. Wool is naturally “elastic”. This means that the clothing you make from it will stretch naturally to fit the body without getting too stretched out – although this can vary depending on the wool as well as the crochet pattern. Wool is durable. The items you crochet today can likely be passed down to the next generation. By far the biggest complaint that people have about wool is that it’s itchy. They often say that they are allergic to wool. While there are some people who do have wool allergies, most people who complain of wool’s itchiness actually might just need to explore a different type of wool, something I learned about in depth from the book Sheepish by Catherine Friend (a memoir of fiber farm life). Some people also complain that wool has to be hand-washed and dried. This is generally, true, although these days there is also washable wool that can be bought to avoid this issue. There are fiber farm events all around the world and they provide a great opportunity to get to see what wool is all about from the bottom up. 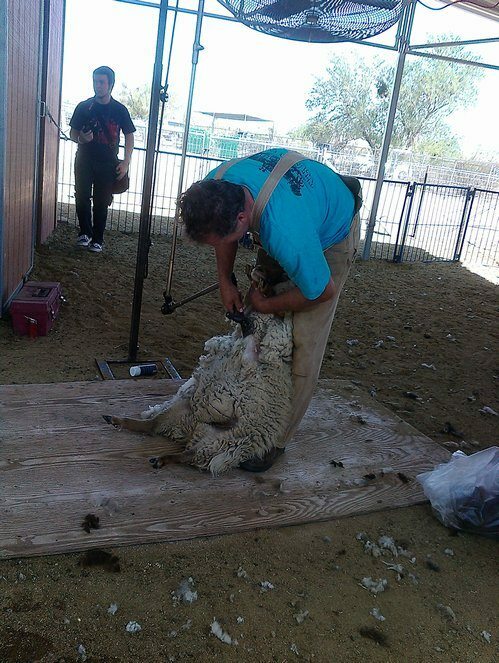 I got to see a sheep shearing at The Tucson Wool Festival and it gave me a greater appreciation for where wool yarn comes from. There’s also a major event each year called National Wool Week, which is part of The Campaign for Wool. According to their website, this is a multi-national campaign that “was initiated in October 2008 by His Royal Highness the Prince of Wales, who had observed that the wool industry was facing enormous and unprecedented challenges.” Challenges included competition from synthetic fibers, reduction in sheep flocks and reduced prices for wool that made it difficult for wool farmers to continue making a living. Another thing I learned from the aforementioned book Sheepish was that wool has amazing unusual uses. Wool has been used to clean up oil spills, insulate houses, pad ballet toe shoes and keep military members warm but safe because of the fiber’s natural fire-retardant properties. Those are just a few of the ways wool can be used other than to make a great crochet or knit sweater! 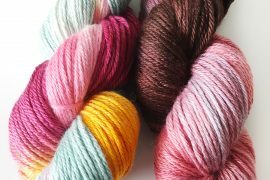 Do you use wool yarn? What are the pros and cons? I love working with wool and all kinds of natural fibres. I’m not a fan of yarns that contains acrylic. My favourite wool at present is 100% organic merino.